The lack of reading proficiency in the U.S. is prompting more educators to explore innovative ways to strengthen the reading habits of struggling learners. Learning Ally has developed a set of education gamification best practices to help to define the “Science of Reading Engagement,” and to demonstrate its effectiveness in U.S. schools through its annual reading competition -- The Great Reading Games. Learning Ally is an ed-tech nonprofit working with 13,000 U.S. schools and districts to support students who may display high intellectual potential but lack the ability to read and comprehend grade-level text due to a learning disability, like dyslexia. An intervention, such as a reading accommodation using human-read audiobooks designed for a school environment, can make a significant difference for these learners to build stronger reading habits, such as reading stamina and fluency, and to strengthen comprehension, critical thinking, and vocabulary skills. The Great Reading Games, Learning Ally’s signature reading competition, is popular among K-12 teachers who are curious about using education gamification to unlock a child's full reading potential. Last year, 1200 U.S. schools participated in the competition with over 17,000 students reading more than 5.3 million pages. Over 7 weeks, students were three times more likely to excel in reading frequency and 300% more likely to achieve levels of reading success that ties directly with students’ academic, emotional, and social behavior. A clear explanation of the rules such as how students accrue points by reading books in a fair and consistent manner. A visual leaderboard highlighting student performance motivating them to read frequently and to ignite a passion for reading. The ability for teachers to uncover deeper emotional attitudes that their students have toward themselves as learners and to personalize student’s goals by applying this insight toward systemic classroom learning. 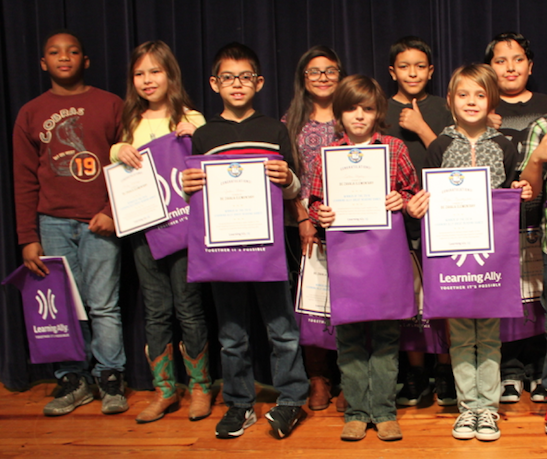 Rewards and prizes for students and teachers and recognition for their school. Teachers who saw the greatest impact on students’ reading habits integrated the Great Reading Games directly into their class instruction, rather than in isolation of the school learning environment. These are the types of positive outcomes our organization expects to achieve in all aspects of our reading solution, adds Mr. Ho. This year, Learning Ally will continue to share its research findings on the Science of Reading Engagement with K-12 educators and administrators. At the 2018 Florida Education Technology Conference (FETC), Andrew Friedman, CEO and President of Learning Ally will participate in a discussion panel, "How Ed Tech Can Fill the LD Gaps,” on Thursday, January 25 at 10:00 am in South 331 CD-Orange County Convention Center. For more information, call 800-221-1098 or visit www.learningally.org/educators. Learning Ally successfully partners with more than 13,000 U.S. schools, districts and leading state education systems across the country to empower over 240,000 students with improved comprehension, vocabulary, fluency and critical thinking skills. For over 70 years, the organization has helped to transform the lives of struggling readers by bridging the gap between their reading capability and their academic potential to become confident, lifelong learners who thrive in school and beyond.